Decorate your cozy bedding wrapped in the warmth of Light Oak colours and melamine polishing with Avatar Queen Bed for a good night’s sleep. 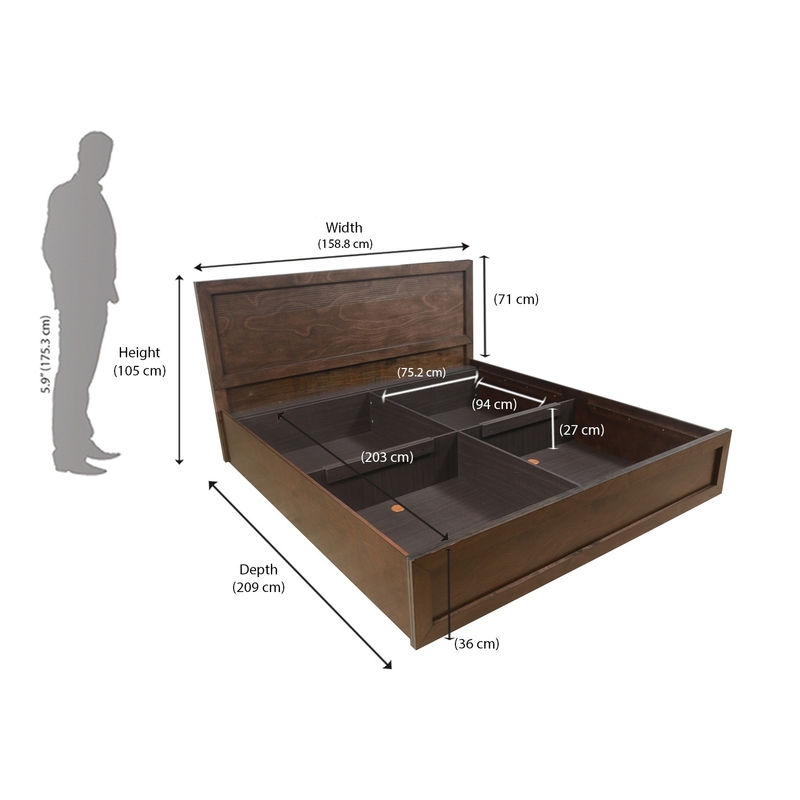 Each piece is designed with sturdy, solid rubber wood and veneer edges, to give you that hotel-worthy comfort. The perfect choice for a guest bedroom or even a teen bedroom bedding set, the storage space adds up to the comfort with its functionality. Decorate with vogue and perk up your bedroom's decor with light feather-like pillows and duvet.